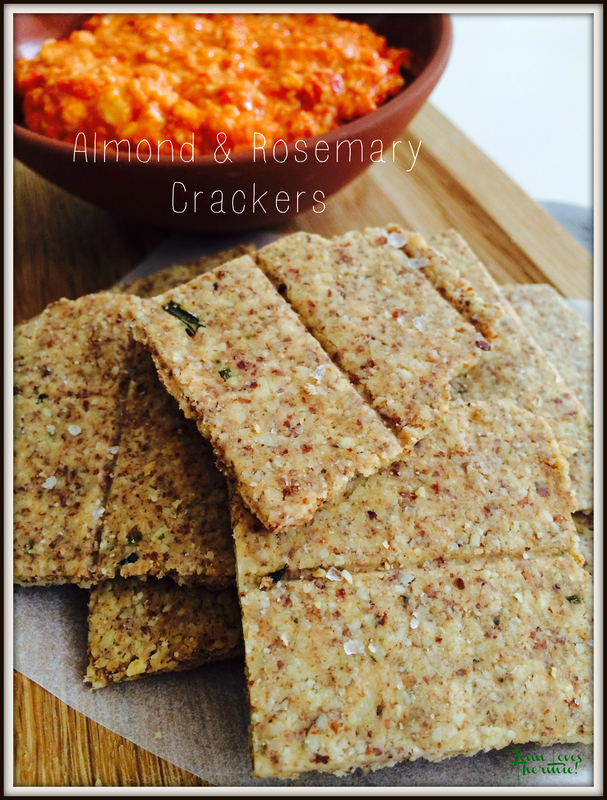 Almond & Rosemary Crackers (Gluten-Free) – Jenn Loves Thermie! 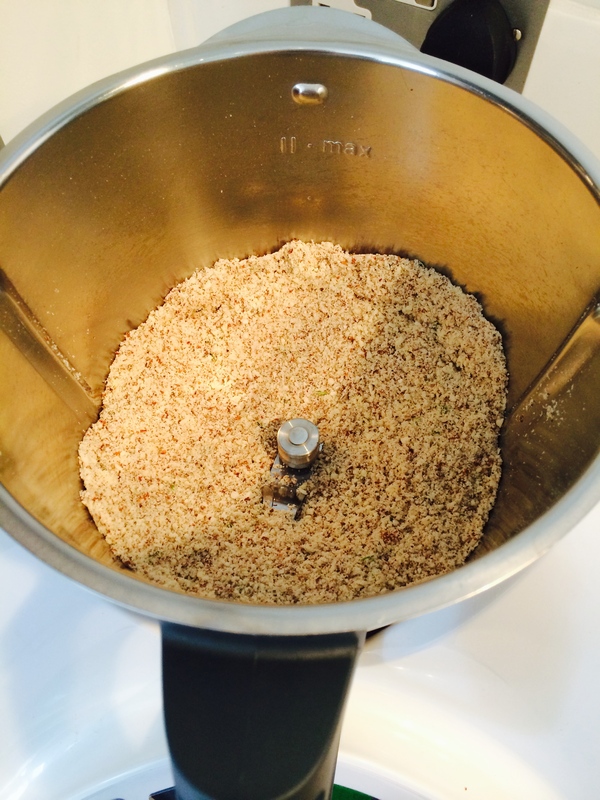 The one thing I love about Thermomix is the huge amount of recipe resources available to it’s owners online. There is an endless supply of cooking inspiration out there which means there is always something new to give a go. I was in the supermarket the other day preparing for some guests coming for dinner and I realised I needed to get some crackers for the dips I had made. 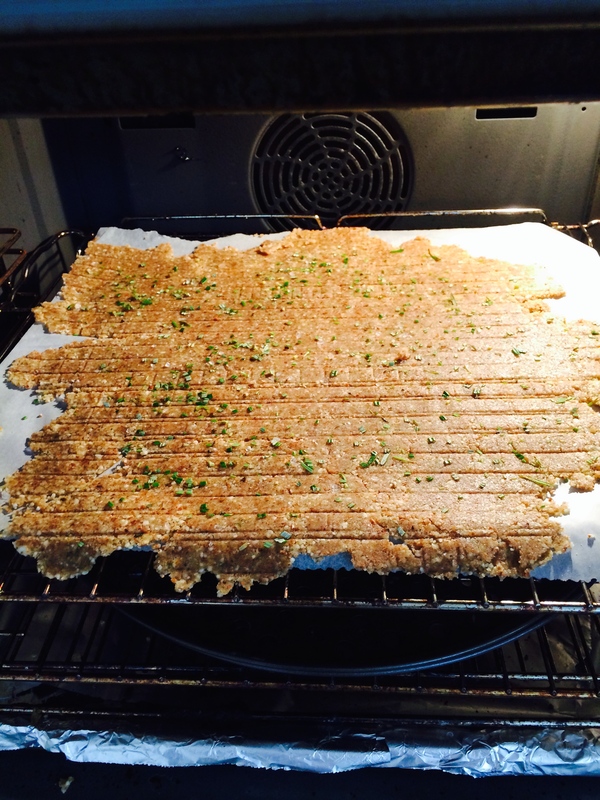 I didn’t really want to buy anything as I know I can make a healthier and yummier version in my Thermie so I quickly whipped out my phone and google searched ‘crackers, thermomix’ (which I do several times a week when I look in my fridge and only have a few ingredients left and wonder what i’m going to cook!!!) Anyway, these little beauties popped up and with virtually only 3 ingredients I had to give them a go. Well, I’m glad I did as they were a huge hit with my guests and my boys too – both big and small! My little tip with scoring the crackers is to use a cooling rack. Much easier and quicker than scoring with a knife. I have posted some more photos at the bottom of this post to help. Preheat oven to 165 degrees. 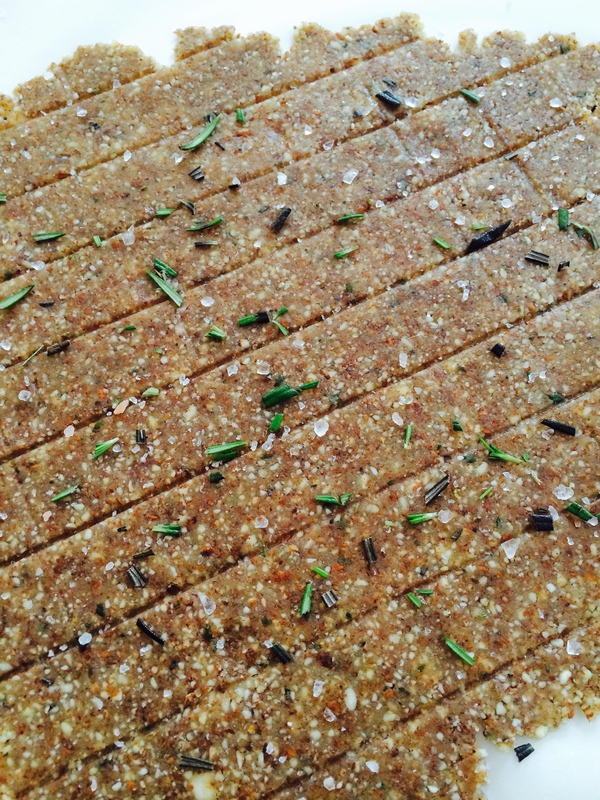 Add rosemary, almonds and salt to the TM bowl and grind on 5 Sec/Speed 8. Add olive oil and egg and mix for 15 Sec/Speed 6. Remove from the TM bowl and form into a dough-like mass so it sticks together. Put the ball of mixture between two sheets of parchment/baking paper and use a rolling pin to roll the mixture out as thinly as possible. Sprinkle with additional crushed herbs and salt and press these into the mixture by pressing down over the seasonings with the top layer of parchment. Rather than using a knife (which you can but who could be bothered right?!) 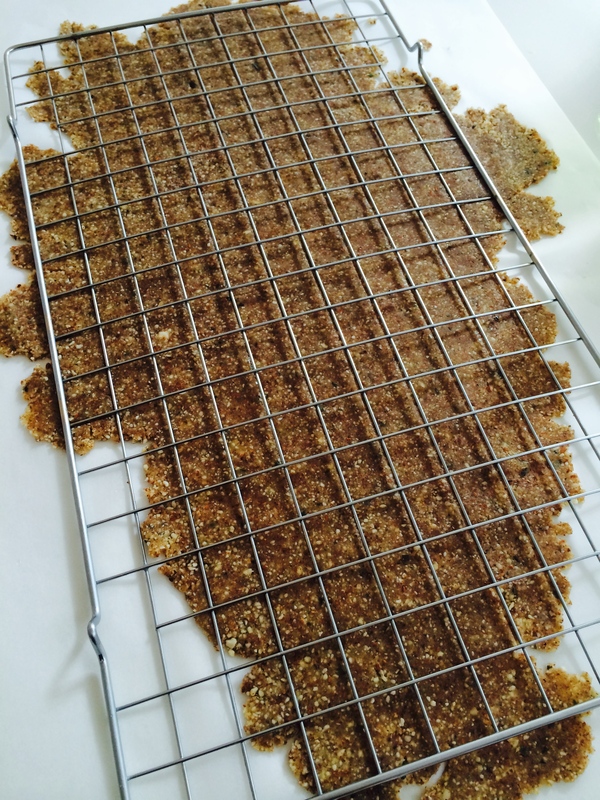 I used a cooling rack upside down to score the mixture. Press firmly. Bake for 15 minutes until the mixture begins to change colour and is starting to become crisp. Remove from the oven but the leave the oven turned on. Use a knife to cut along scored lines and separate the crackers. Gently turn the crackers upside down and return to the hot oven. Turn off the oven. Allow the crackers to crisp up in the hot oven as it cools down.